After a tumultuous passage through the House of Commons, the EU Withdrawal Bill arrived at House of Lords on 18 January 2018 for the First Reading. As it made its way through the House of Commons hundreds of amendments were proposed by MPs including amendments around the protection of devolution settlements, the Good Friday Agreement, the inclusion of the EU Charter of Fundamental rights and environmental protections amongst many others. These amendments were slimly defeated with many opposition MPs as well as Tory rebels now looking to the House of Lords to amend the bill. One amendment which did defeat the government will give Parliament a legal guarantee of a vote on the final withdrawal agreement. The bill has now passed through the first and second reading in the House of Lords with a record 199 peers speaking on it. Committee stage is next and is set to begin on 21st February. The EU Withdrawal Bill seeks to implement the UK’s withdrawal from the European Union by repealing the European Communities Act 1972. This will cut off the source of EU law in the UK, end the supremacy of EU law and will convert already existing EU law to domestic law. It also proposes to give ministers powers to adapt and remove laws that are no longer relevant. To put it into perspective, there are up to 20,000 pieces of EU law which will have to be converted to domestic law. There is still much uncertainty around what the final Withdrawal Agreement will look like with many major issues still to be agreed. These issues include the Transitional Agreement, the divorce bill, mechanisms for dispute resolution, Northern Ireland and the border and a framework for the new deal. 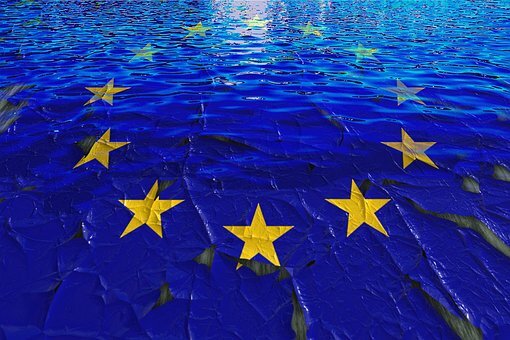 The EU has set out its guidelines for the transition period which is set to last from March 2019 to December 2020. The EU has said that the UK must continue to abide by EU laws and obligations during the transition period, including continued free movement, but will have minimal input into EU decision-making outside a consultative role. The UK will be unable to implement any international agreements without the agreement of the EU and work should also continue to find a solution to the Irish border question. What are the sticking points in the EU Withdrawal Bill? As previously outlined there are concerns around some of the content of the bill such as the exclusion of the EU Charter of Fundamental Rights which could result in a weakening of rights and protections. A legal opinion commissioned by the Equality and Human Rights Commission claims that the rights-by-rights analysis provided by the government is largely inadequate. The government also failed to bring in promised concessions around areas of the bill to protect the devolution settlements and there are concerns about gaps in environmental protections in the UK after it leaves the EU. What are the main concerns from peers in the House of Lords? What the UK will look like at the end of this process including the long-term constitutional settlement. NICVA believes that a major priority for the government must be to find solutions that will ensure no hardening of the border on the island of Ireland or with Great Britain and which do not undermine the peace, stability and co-operation brought about by the Good Friday Agreement in all its parts. In a statement made last week by NICVA and our partners in the devolved regions it was highlighted that in order to avoid or minimise harmful impacts the UK must remain in the single market and customs union, the transition period must be sufficient, there must not be any regression on rights or protections, essential funding for key social policies should be continued and we must maintain EU connections for civil society. Read the statement in full here and see NICVA’s position on Brexit and priorities for negotiations here.